“We have got four big games now. We had got ourselves into a position where we were on the tails of the play off positions but it is not to say that we have given up. It is not mathematically impossible but we want to get back to winning ways on Saturday. “The last four games have not gone for us in terms of getting points on the board. The last two performances against the two sides relegated from the Premiership last season, I think have been very encouraging. 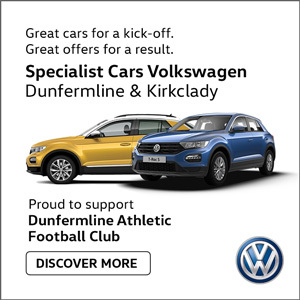 Saturday’s derby against Falkirk is set up to be a real contest. 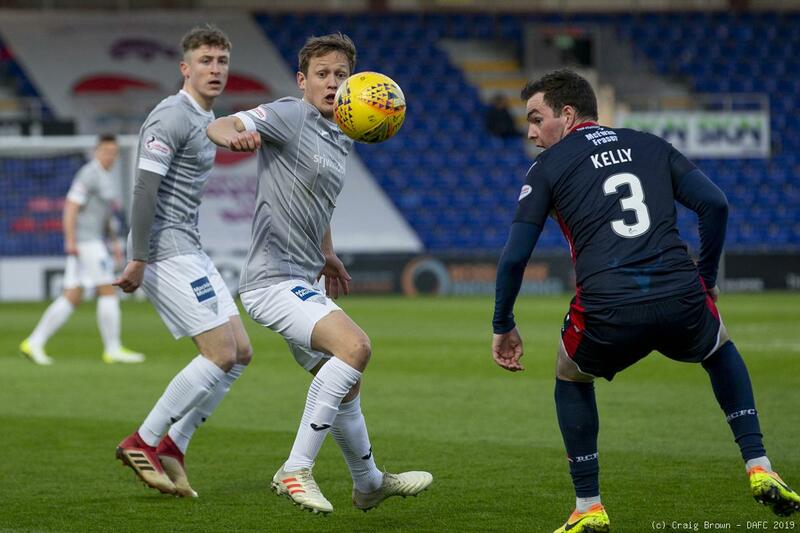 The Bairns sit bottom of the league but just three points off sixth. 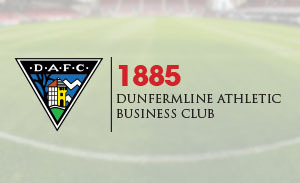 Dunfermline lie fifth and still have hopes of catching four placed Inverness Caley Thistle. The Highlanders will be playing in the semi final of the William Hill Scottish Cup so the gap could be reduced to five points. Stevie Crawford has played in this derby and has been involved in the coaching side at Falkirk, so he knows the rivalry. “For a number of years no there has been a bitter sweet feeling. 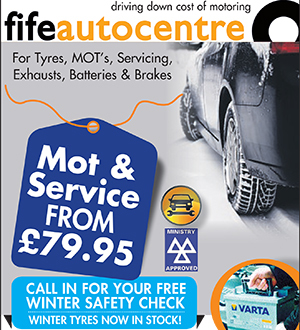 It is a big game, especially for Falkirk. With all due respect I am more concerned about getting the result that we need. 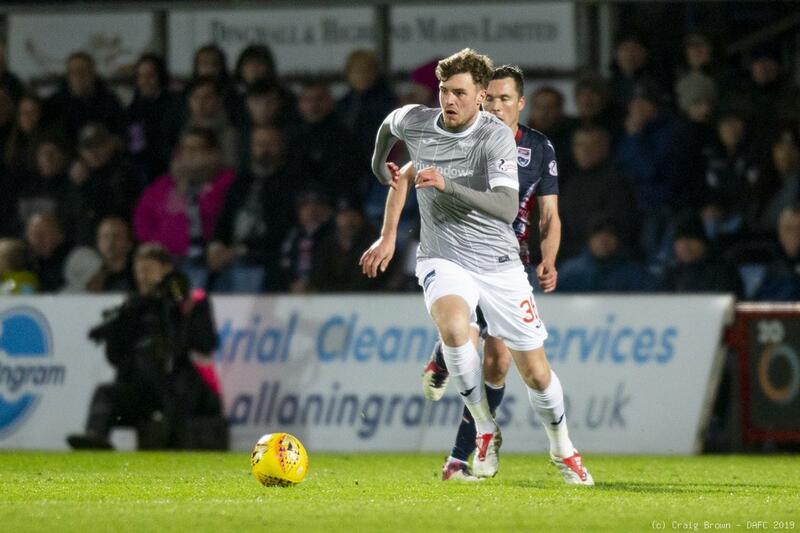 Whether it is Falkirk or whoever, we have to focus on applying ourselves properly. “If you speak to Robbie he will tell you that it has been a frustrating time for him. He probably wanted more game time but I speak to the players and I have always said that we will try and pick players who are going to try and get us a result. He came on Tuesday night and did well. If we feel that he has a role to play at the weekend then we will select him. “I have always said that you are responsible not just to the younger player that you are bringing into the environment to try and kick start his career, you are also responsible for everything that the club is about. “The pleasing thing for me was young Matty Todd playing away from home, in a game that mattered. 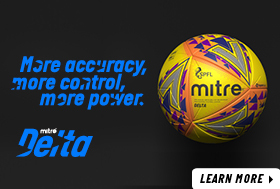 He would be the first to tell you that he found the pace of the game totally different from reserve team football. He wasn’t fazed by it, that was the important thing for myself and the coaching staff. 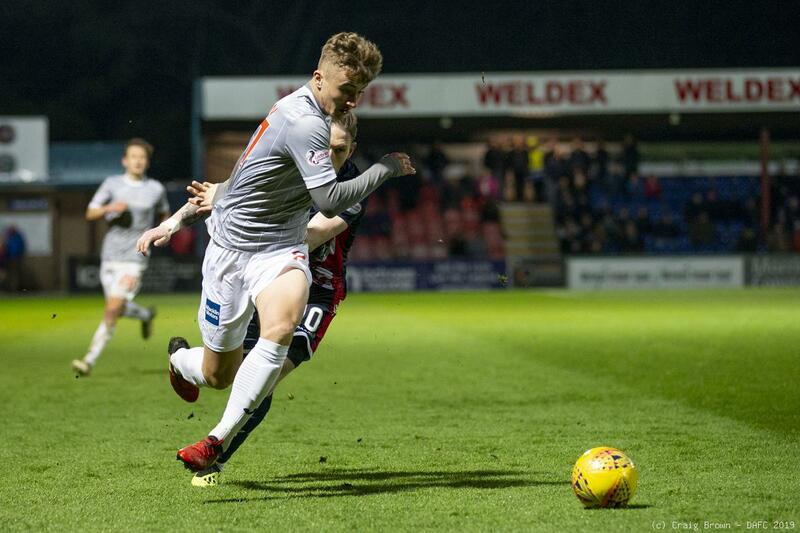 “We made a point of talking to him between the Partick Thistle game and the Ross County game because he wasn’t fazed, he found it difficult but then he feeds that back to the younger players at the club. He played a part, yes we would have loved to have come away with three points, but he has played the part and got a result against a team that was fighting for their lives. 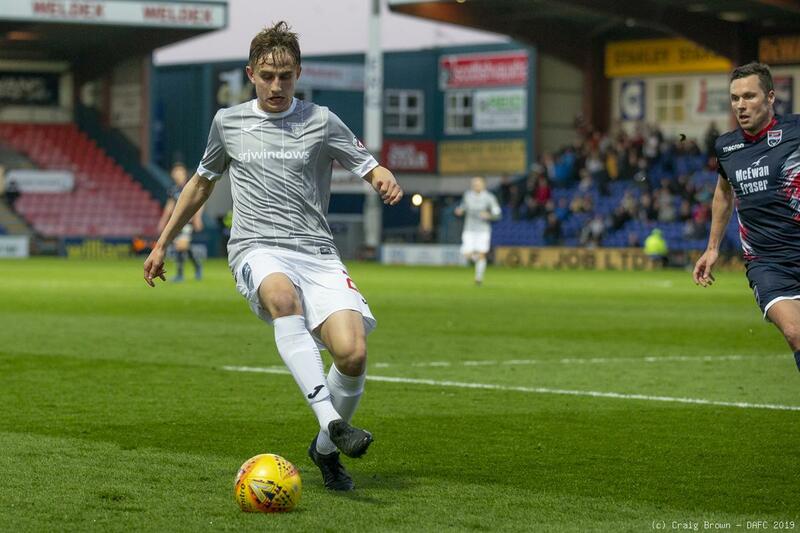 “We then go up to Ross County and you see more of the positives from Matty Todd. More of his natural game running in behind, it was a different type of game, a narrower pitch and all the reasons why we tried to promote Matty into the team. “That was promising and shows that they are hungry. They actually believe that they are going to get an opportunity but they also know if they come in to the team that they are responsible for trying to get a result. The gaffer is thinking ahead to next season but describes his progress as “planning to plan”. Right from when he was appointed in January, Stevie has been thinking about that but play off places and league status next season is still all to play for and he cannot actively work on anything specific until that is known. “You work behind the scenes and a lot of it goes unnoticed. Trust me, there is a lot of work being put in to what we can do to take this club forward next season, without taking our eye of the ball. I have said from day one that you have to get results and in recent weeks we haven’t managed to do that. Stevie revealed that Louis Longridge, (pictured above) injured on Tuesday night, would be getting a scan but was not ruling his influential 27 year old midfielder out for the game on Saturday. 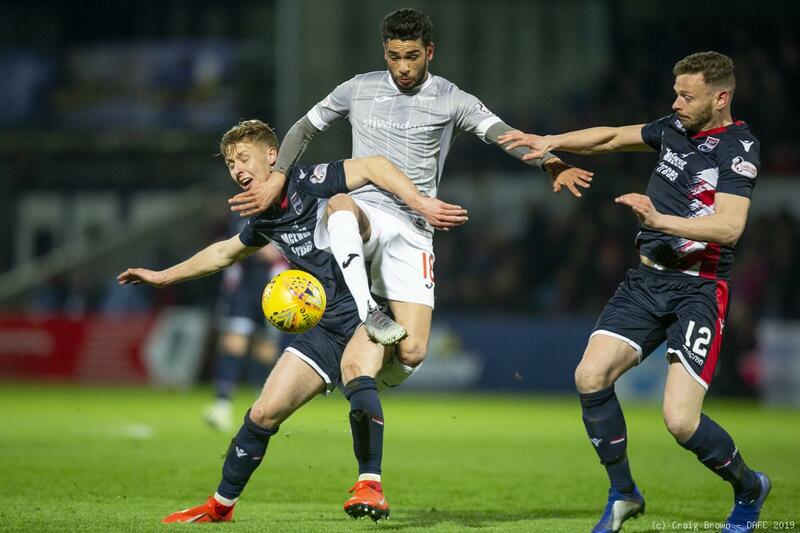 Louis used his shoulder to soften his collision with an advertising board at Dingwall. 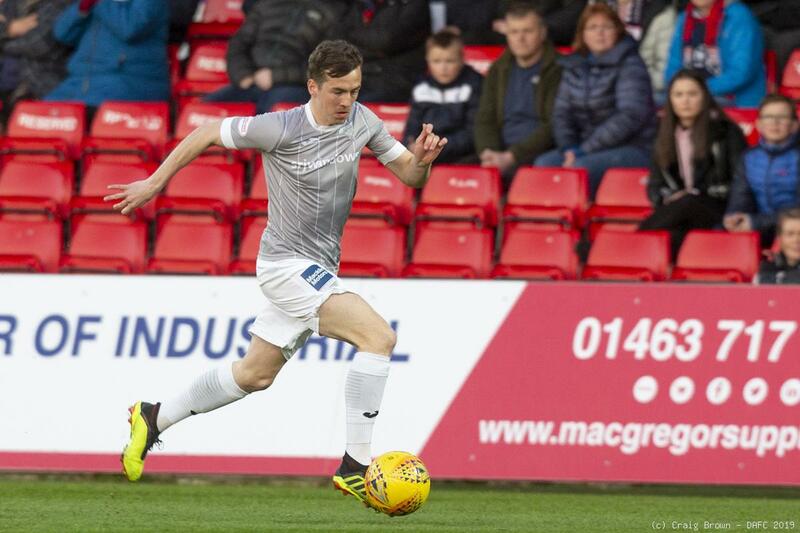 Looking at player availability, Aidan Connolly came through 45 minutes in the reserve league match at Kelty on Wednesday afternoon against Hamilton Academical.